Lenovo owned Motorola has launched their latest smartphone called Moto G7 in India.The handset is an upgraded version of last year smartphone Moto G6.The handset prices Rs 16,999 will be available to buy through flipkart and other offline stores from today. 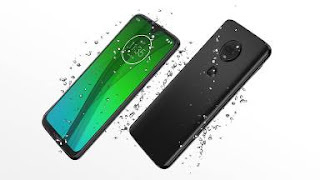 The Moto G7 smartphone comes with massive 6.24 inch multi touch supported display with 2270×1080 pixel resolution and 19:5:9 aspect ratio.Its display is protected with Corning Gorilla Glass 3 and device comes with P2i water repellent coating.It measures 157 mm length,75.3 mm width 8 mm thickness and weighs 172 gm. 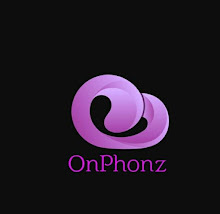 Under the hood,there is 1.8Ghz octacore Snapdragon 632 processor and Adreno 506 GPU to produce enough power for the device.It has 4GB RAM and 64GB internal storage along with expandable storage capacity up to 512 GB.In the camera department,it is equipped with 12MP+5MP dual camera with flash at its rear panel.Its primary 12MP features f/1.8 aperture and 1.25 um pixel size while it's secondary 5MP has f/2.2 ,aperture.At front there is 8MP camera with f/2.2aperture is placed for selfies and video chat. The Moto G7 is backed with 15W turbo fast charging supported 3000 mah battery.Its connectivity options includes 4G VoLTE,Wifi 802.11 a/b/g/n,Wifi hotspot,Bluetooth,GPS,USB Type C and 3.5 mm audio jack.Additionally it also comes with Dolby audio and there microphones.